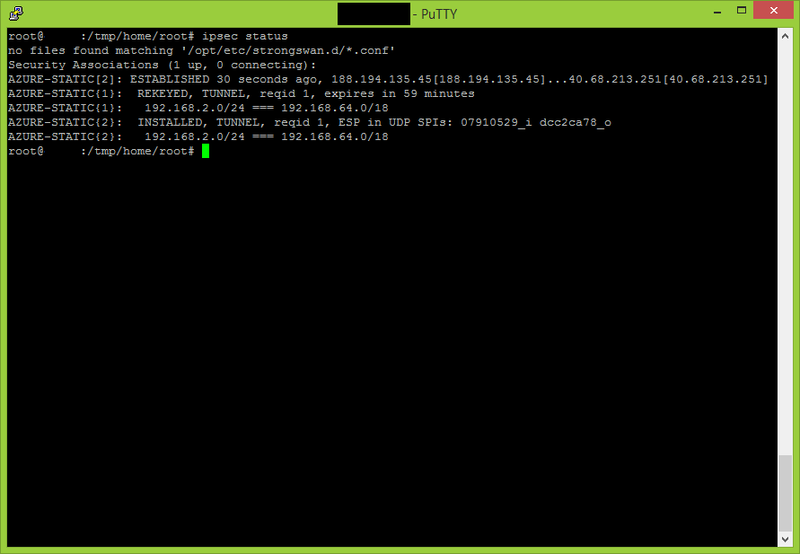 Install and configure Entware-ng + strongSwan on your router. 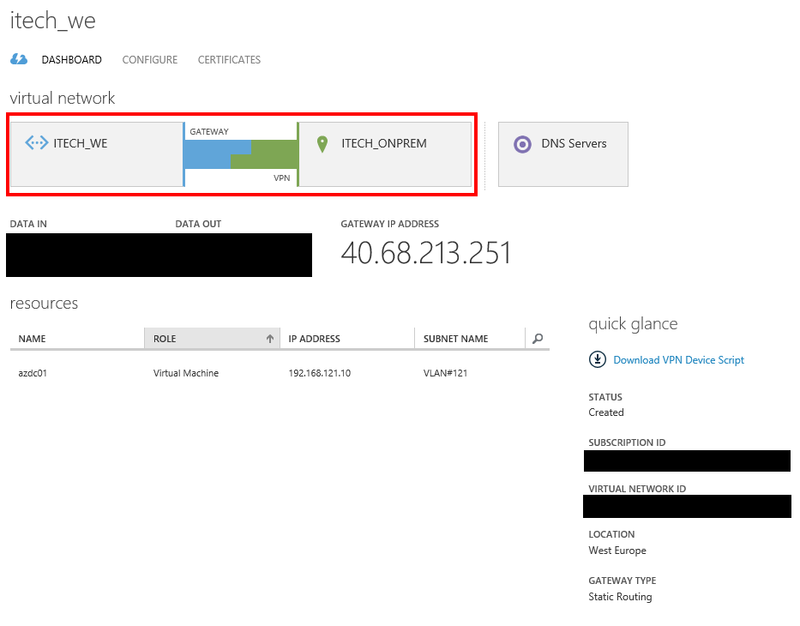 Configure and perform the site-2-site VPN using Azure dynamic gateway. 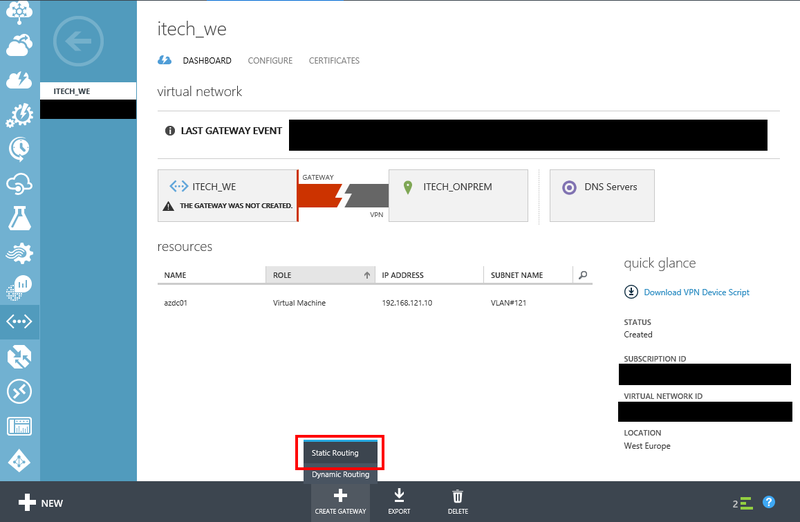 Configure and perform the site-2-site VPN using Azure static gateway. 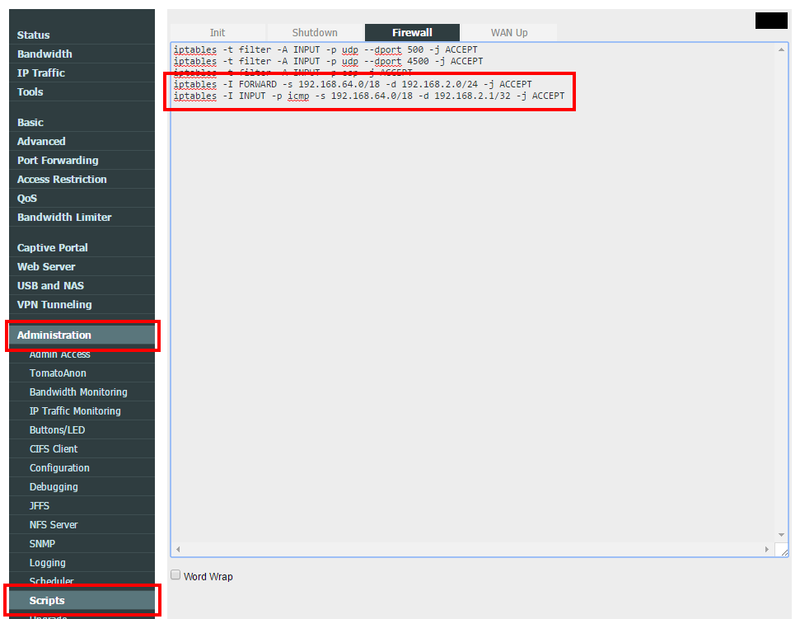 Troubleshooting Azure site-2-site VPN and strongSwan. 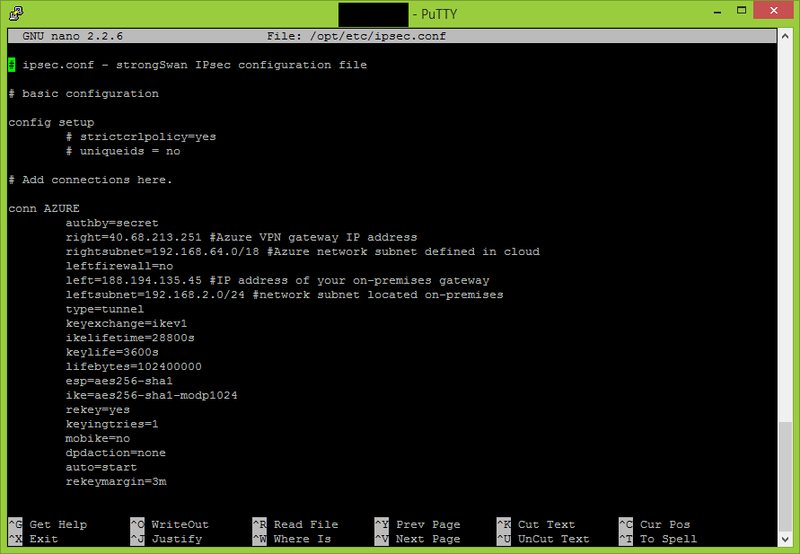 Please note these steps are not required in case you already configured a Dynamic Routing Azure VPN gateway. In the Azure Portal, carefully select Static Routing when the VPN gateway creation is initiated. 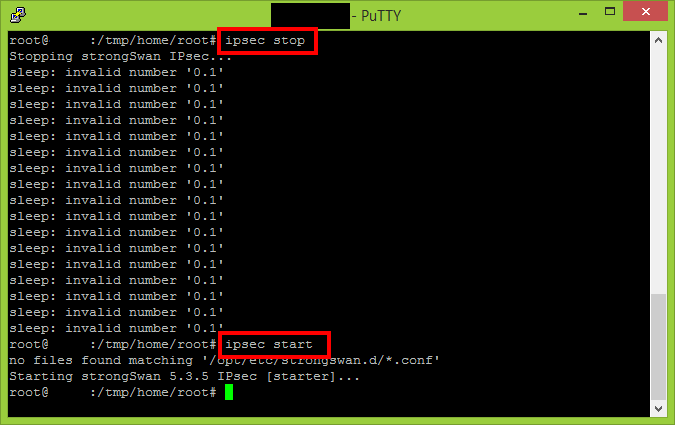 Connect to your router and make the following adjustments to your ipsec.conf and ipsec.secrets files. 188.194.135.45 40.68.213.251 : PSK "JHTg6u5euztuFMJ3tvKyB2OKWrztHWzd"
Please note any additional empty new line or invalid characters added to these two configuration files can lead to unsuccessful VPN site-2-site. Execute the following two commands to ensure the new settings are propagated. Use the “status” parameter to see if the VPN connection has been established. After couple of minutes the connected status will be reflected also in the Azure Portal. By default your router will allow all outbound traffic with your defined Azure networks, but will block all the traffic initiated to your on-premises subnet. 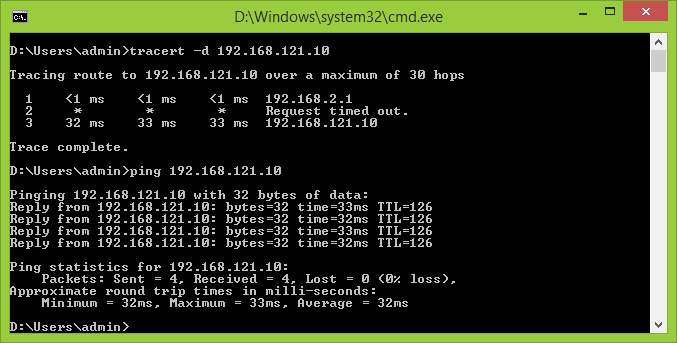 That’s why is necessary to open additional traffic between the two internal networks (on-premises and Azure). Append the following commands in the Firewall script section. Please keep in mind is necessary to call/execute these commands also in the SSH session in case is necessary to make the changes immediately. Let’s test the site-2-site connectivity. 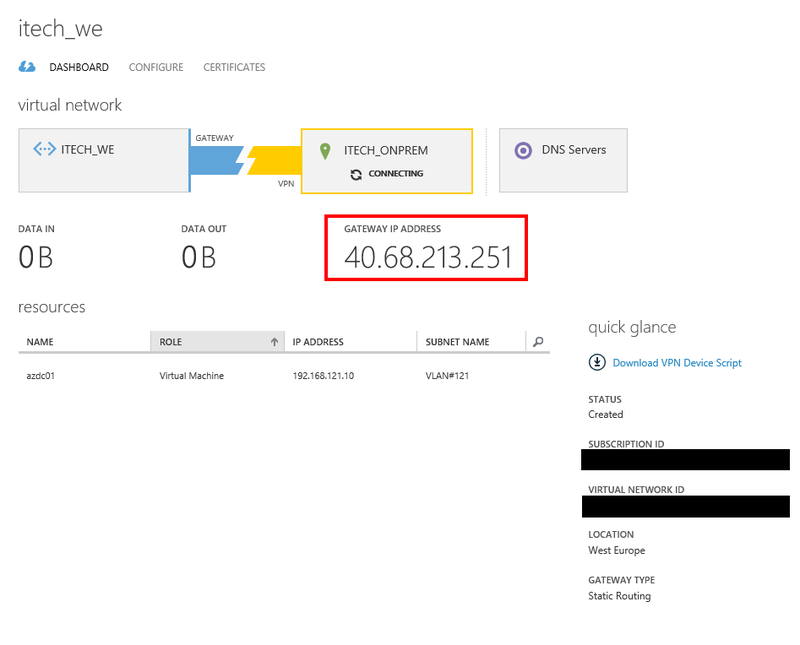 Continue with On-Premises Site 2 Site VPN with Azure using Tomato Shibby Mod (Entware-ng and Strongswan setup) – part 4. Does the article was useful for you? Motivate me to write more.